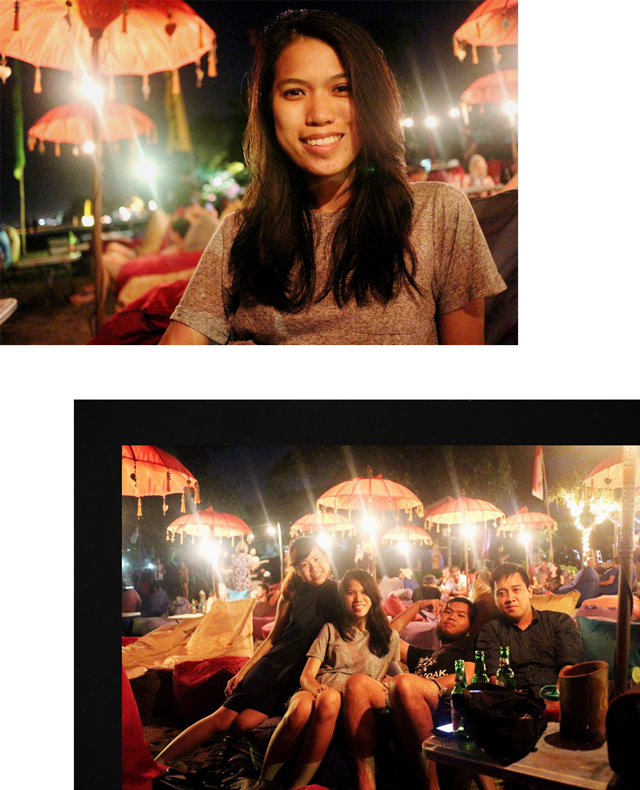 Relax, chill, and enjoy the night with my friends at Double Six Beach, Seminyak was such a good time for me. With a pretty night sky, walking on the beach at night was kinda relaxing as well. We decided to finish the night by relaxing by the beach with beers and French fries. You will see there are many bars or restaurants with bean bags overlooking the beach. Initially, we wanted to visit La Plancha, the most popular bar at Double Six Beach, but we end up visit Taris Bali, simply because every cafés were similar and Taris is closer to where we parked our car, so we don't have to walk that far. Well, that's okay since we will just order beers and chilling. At Taris, you can also enjoy their live music which was pretty good. 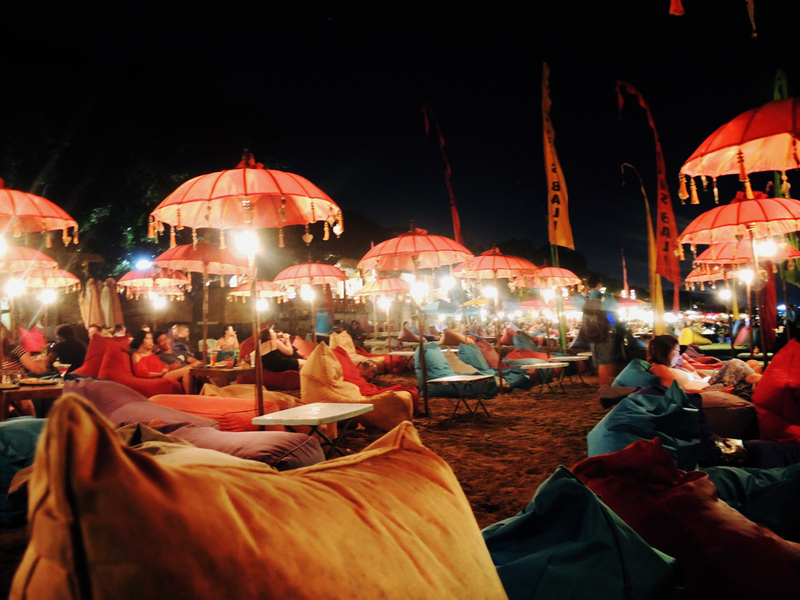 So, if you have nothing to do and you are in Seminyak, spend your night at Double Six Beach would be a good idea. I rarely share photos of my friends here, but for this post, why not? This makes me miss Bali so much! Great post! Nights at the beach sounds amazing!! It looks amazing night at the beach with friends. So much of fun. Your time in Bali looks incredible! Amazing! It looks so chilled! I think beach is the best place to enjoy a night.